Q What type of bees do you keep? Isabel - Creamed honey also known as whipped honey or spun honey contains a large number of small crystals, which prevent the formation of larger crystals that can occur in unprocessed honey. The smooth consistency makes it perfect for spreading on your toast or crumpets without drips or mess.Its Soft like butter and will melt in your mouth leaving your tastebuds screaming for more! Q What's your favourite way of eating Honey? Isabel - My Favourite way of eating honey- for breakfast on toast and sprinkle some cinnamon on top YUM! The taste really complement each other. Or just alone by the spoonful Mmmm. I love adding a teaspoon the My mince when making spaghetti sauce it caramelizes the meat leaving a delicious taste. Also love plain Greek yoghurt with crush walnuts with drizzled honey on to. 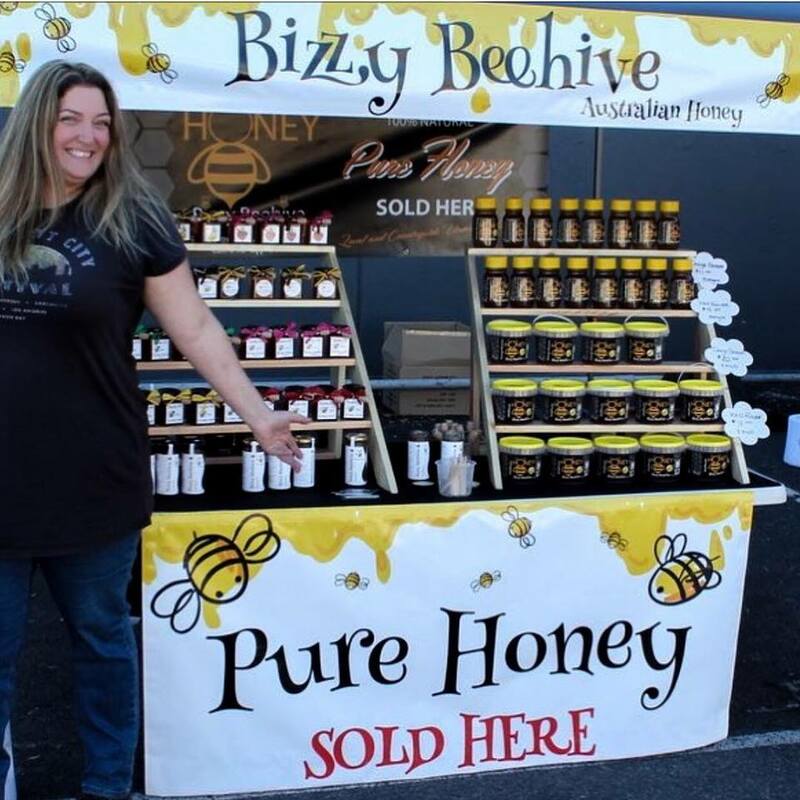 Q Tell us about Bizzy Beehive honey's product line? Isabel -Products I sell Raw Orange Blossom, Wildflower, honey in 1kilo tubs, 500g squeeze bottle, 350g jars. liquefying and going back to normal. Natural Lipbalm made with my beeswax with natural ingredients using cold compressed essential oils - Peppermint - Lemon - Lavender - Orange. Q You often hear about "Fake honey" vs Raw honey - explain? Isabel - Fake honey is heated to high temperature which destroys all its natural enzymes and nutrients it had when its was freshly taking out of the hives.Its diluted with water and sweeten with corn syrup and molasses to make it look like real honey. Fake honey is commercially processed to the extreme and watered down making it cheaper to produce. Real honey is purchased straight from your local beekeeper. Real honey crystalises over time and taste like real honey and definitely not heat treated and nothing added. The way nature intended honey to be. Our honey is not pasteurised which mean it's not heat treated at all and is cold extracted in every way to keep all its natural enzymes and nutrients.